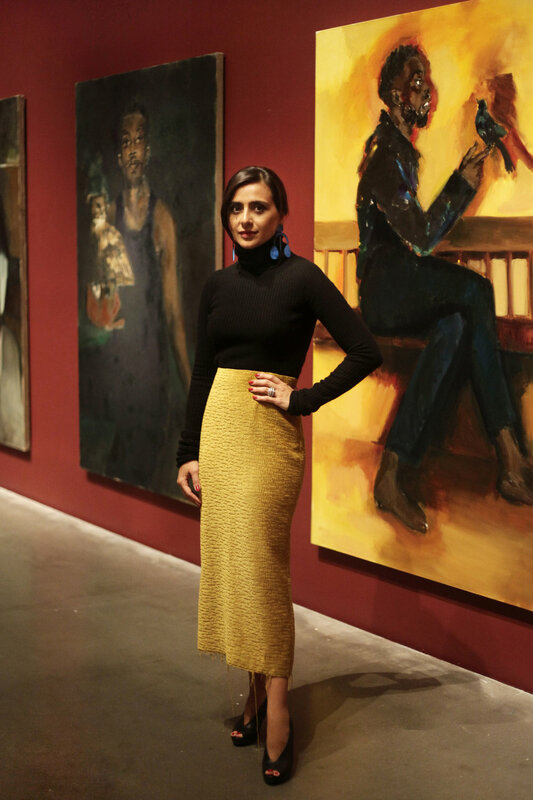 NAZY AT LYNETTE YIADOM-BOAKYE'S SOLO EXHIBITION 'UNDER SONG FOR A CIPHER' AT THE NEW MUSEUM. I'm an independent art consultant, curatorial advisor and writer focusing on contemporary art from emerging regions. I'm also a supporter of Y.ES Contemporary which promotes emerging artists from El Salvador and most recently joined The New Museum's Artemis Council which provides funding for new commissions and exhibitions by female artists. I was born in Tehran, Iran and spent my childhood in Athens, Greece before emigrating to the United States with my family. I grew up in Alexandra, Virginia and lived in Washington D.C. before settling in New York City. I don't use Spotify! I listen to "Souq Records" mixes on SounCloud all day or to classic jazz which I love. When I need a bit of a kick, I switch to soulful electronic music by Joris Voorn, Nicolas Jaar, DJ Harvey, Thievery Corporation, or DJ Behrouz. I can't think of one specific advice but I'm grateful for the support of a small group of strong and brilliant women in my life. The New Museum, its leadership, and especially this exhibit by Lynette Yiadom-Boakye who is one of my favorite artists, represents my absolute belief that art can have the power to affect social and political change.